Discover how Holistic Chiropractic Care works to improve your overall health through back, neck and joint pain treatments. Back and neck pain are the main areas for which patients look for chiropractic help. Through manual spinal manipulation, chiropractic care serves as a holistic therapy that concentrates on fortifying up solid musculoskeletal and nervous systems to promote general wellness. To learn more about how chiropractors effectively relieve symptoms as they relate to back, neck, and joint pain, we will dive deeper into what it takes to make Holistic Chiropractic Care work. Research on Holistic Chiropractic Care demonstrates that spinal manipulative therapy performed by a chiropractor, alongside exercise, alleviate neck pain more successfully than prescription drugs. New research on holistic chiropractic care is surging. As per the Annals of Internal Medicine, recent tests demonstrate that spinal manipulative therapy performed by a chiropractor, alongside exercise, alleviate neck pain more successfully than prescription drugs. Additionally, the Journal of Manipulative and Physiological Therapeutics detailed that an incorporated approach to health care – including holistic chiropractic care – brings about a 51.8 percent reductions in pharmaceutical expenses and 43 percent less hospital admissions. Consider seeing a chiropractor, should you encounter persistent pain in your back, neck or joints, in addition to migraines. This is particularly so if frequent soreness follows accidents, chores or prolonged periods of poor posture. Chiropractors are best known for securely and effectively treating intense back and neck pain, as well as persistent headaches. 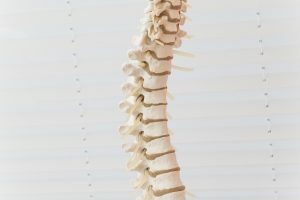 While a medical doctor may recommend pain medicine, muscle relaxers or anti-inflammatory drugs, and an orthopedic specialist may propose surgery, a chiropractor will treat your chiropractic issues by hand, through control of the spine. Chiropractors bring the musculoskeletal structure to the correct alignment. Chiropractors change the position of your body and apply pressure to specific positions along the spine that are not adequately adjusted. This creates a popping sound, similar to the one made when you crack your knuckles. The noise is made by an adjustment of pressure in your joints as gas bubbles are released. By altering the spine with their hands at specific pressure points, chiropractors release nerve energy and enable it to drift down your spine and all throughout your entire body. Frequent visits can, after some time, realign your spine to better promote general wellbeing. In order to see the benefits of holistic chiropractic care, many may require the implementation of these major components. Numerous holistic chiropractors attempt to care for the entire wellbeing of an individual, from general health to disease prevention. They observe each patient, for the reason of their visit as well as their level of wellbeing. After diagnosis, a chiropractor determines a treatment plan that suits that individual. A few chiropractors provide nutrition advice, exercise plans, lifestyle counseling and so on. In order to see the benefits of holistic chiropractic care, many may require the implementation of these major components. A holistic approach can reduce the requirement for a potentially addictive pain medication or an unnecessary surgery.